Season 9 is one of the best ever. The series can’t stop this way. I want Jack back. I need him back, like so may others. 24 can’t exist without Jack Bauer. This is not “Game of Thrones”, or any other series. This is a one person adventure. You live with Jack every week from day 1 till day 12 (24). Jack will be back and I will back him up. Bring back Jack, AGAIN!!!! !I have watched every episode live since the the first hour of day 1. This show was a great escape from things that werent going well in my life. This show was there for me to just get away, its that gripping. There is still a story to be told. I am sure many loyal fans would agree. THE CLOCK SHOULDN’T STOP!!!!! 24 should be mixed with Interstellar. The action on Earth would be in normal time but on another planet people would move super-slow. Then on another planet, people move fast like Benny Hill. But then you’d have a half hour of commercials on the Benny Hill because it’s all done in 24 minutes…. I haven’t watched SNL for quite a while but I’m guessing they must of spoofed them a time or two. It’d be an easy show to spoof. Good use of “pertinent” – for it’s exactly that. Remember Season 1, especially, and the next couple of years that shocked us all and seemed far-fetched. Watch the early episodes doubters, then tell us what’s far-fetched! Truths on a silver-platter. Would Love to see another full 24 . Love each season. But got to have JACK B.
I think Kiefer should come back for a tenth and final season of 24. The ending was good but no one wants to see Jack in Russia forever. We’re about the same age, so I understand how he could be so tired. After that, I think they should come up with a new strong lead and add more characters. The lead should be a well established actor that has a good following and has done action movies/tv already. Hopefully, that should make it a success. Other shows have gone well beyond 10 years and without a 4-year absence. Kiefer is only 47; his dad, Donald, much older and still acting. 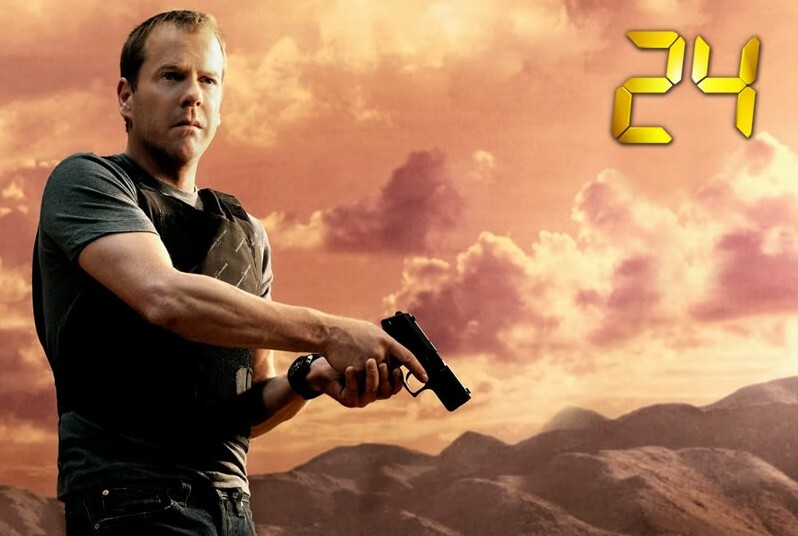 24 is not 24 without Kiefer playing Jack. This show is such a snapper! At least Kiefer left himself an out about it being the end for sure. We can’t have it end with Jack being taken by the Russians, not after all he has been through and got through. Hurry back Jack, you fans await you!! And yes, bring back Chloe and Kate did grow on me. Yes, Tony too! Jack Bauer is not like James Bond with different actors who play James Bond. Kiefer Sutherland is Jack Buaer that how it is. Another actor play Jack Bauer sorry 24 would be cancelled or down the drain. I would love to see Kate Morgan and Chloe sent to Russia to save Bauer. Maybe only have Sutherland guest star in the last episode as he is being rescued. This could lead into a spin off series starring Yvonne Strahovski’s Morgan as the “new” Jack Bauer. You’re dead wrong Alan. Tony Almeida is still alive at the end of Day 7 even though he turned into a bad guy since the start of that day. You may get the 24: Live Another Day on Blu-ray that has one of the special features titled 24: Solitary in which Tony is now a prisoner whose now on trial. 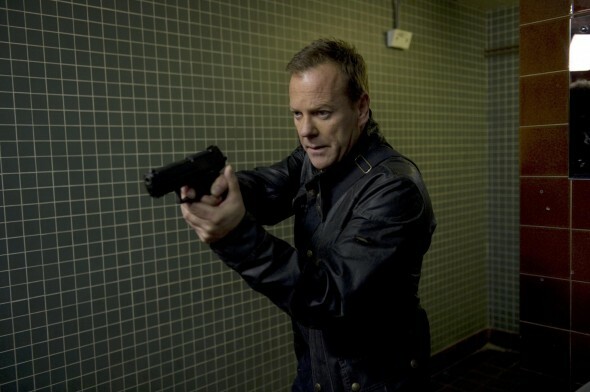 Have you not been watching 24 lately or perhaps I’m going all Jack Bauer on you even if it means TORTURE. No Keifer Sutherland – No Jack Bauer – and NO 24. He either reprises his role or it’s the end. Nine was great and would love to see 10, 11, 12, + come out. I hope he changes his mind and decides to return, but if he doesn’t . . then 24 is truly over. A new cast can never be Jack Bauer. Too bad he didn’t have a son on the series that could have continued it. Hope to see 24 and JACK BAUER make some new seasons. Say it ain’t so Jack. Come back, we need you.